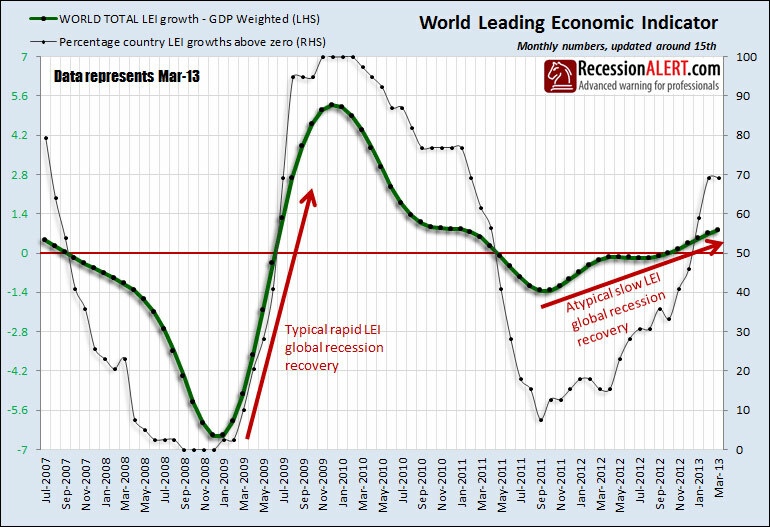 Since we last reported on the current Global Recession, the Global Leading Economic Indicator (GLEI) rose for the month of March, but is following an atypical growth pattern coming out of recession, with a slope far shallower than the normal expected rebound. Also noteworthy this month is that the percentage of countries with rising LEI’s seems to have stalled-out at 69%. This is concerning at this stage of the recovery and only 5 months with the GLEI above zero.